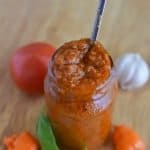 Homemade African Pepper Sauce that is primarily made with habanero, garlic, onion, basil and other spices. 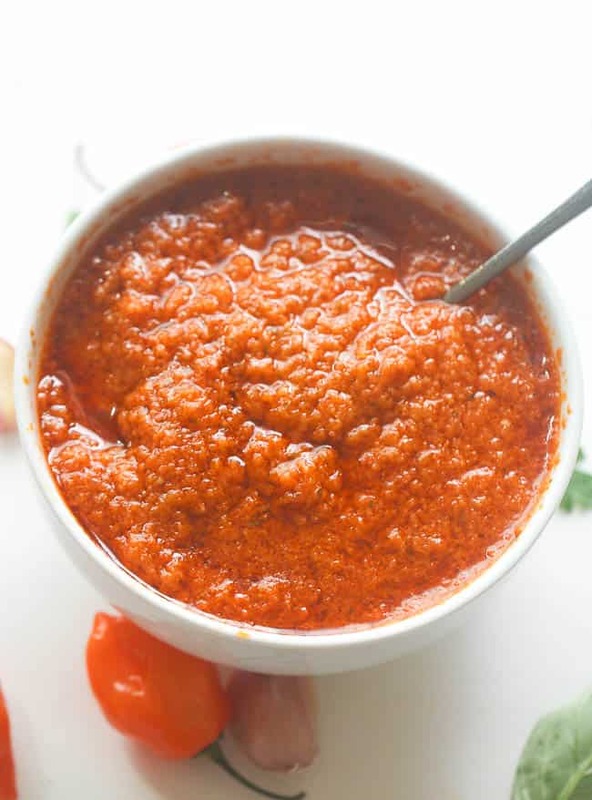 A versatile sauce that can be used as a condiment, dip, or appetizer component. 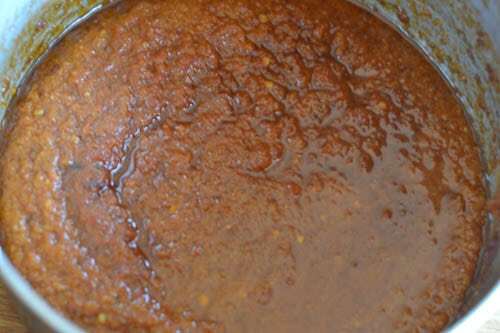 In West Africa, pepper sauce is an essential partner for puff-puff, grilled meat , fish and eggs or splendid with any food. 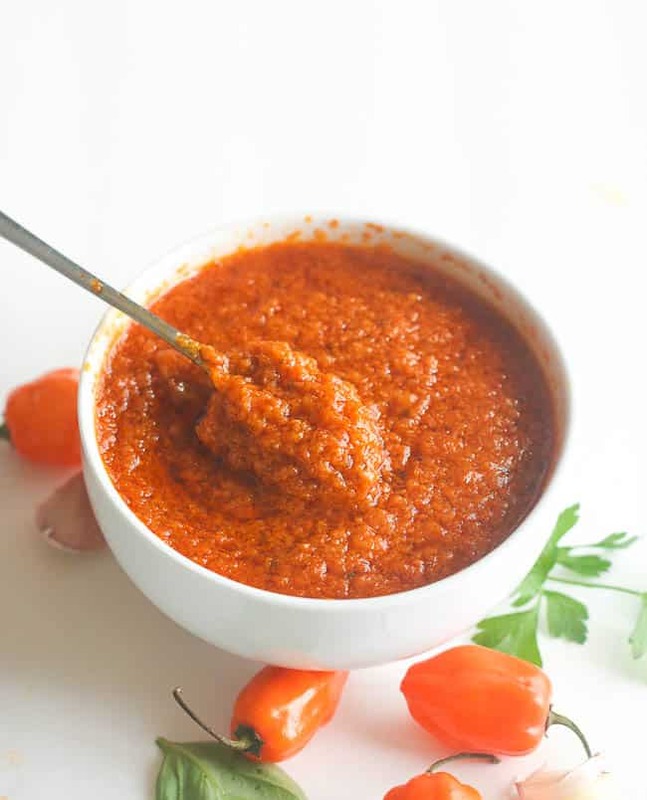 There is just something about pepper sauce that takes a dish from bland, boring to flavorful and enjoyable. 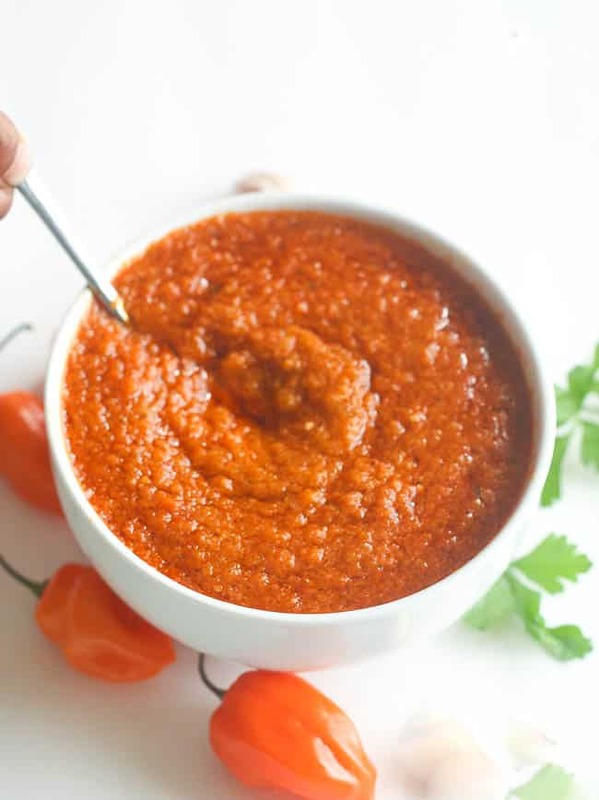 As you might have guessed pepper sauce is sparkingly hot because of the refreshing taste of the hot pepper used in the blend. 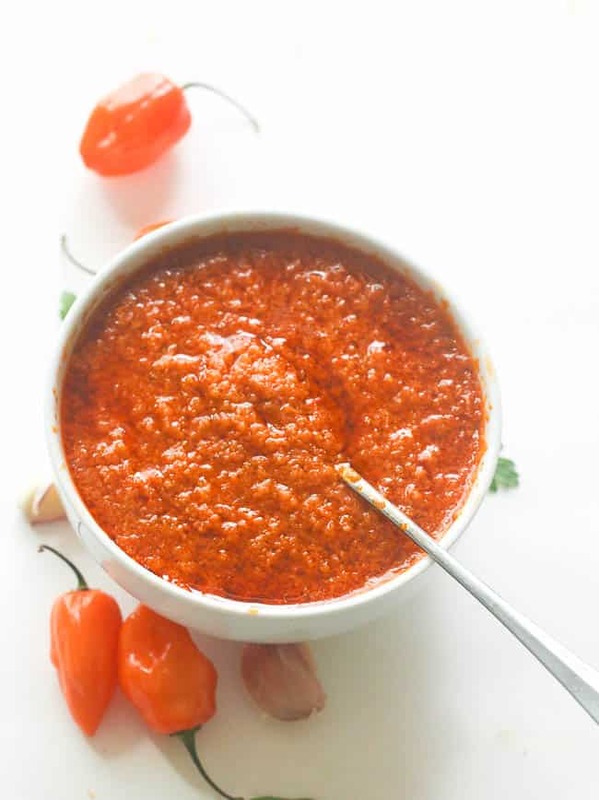 Although the ingredients varies with the cook one thing is constant, – Hot pepper .There are so many kinds of pepper you can use in this sauce; habenera, scotch bonnet, chili I do prefer scotch bonnet -if available, however , in my neck of the woods, habenera is a good replacement. one huge difference between hot sauce and pepper sauce ( African style). Most authentic West African pepper sauce , I have had the pleasure of trying, contain very negligeable amount of vinegar- if any at all. The basic ingredients usually consists of pepper, salt, vegetable oil and or maggi , ranging from mild to ferocious with a thick structure . I am a wimp…so am in between . 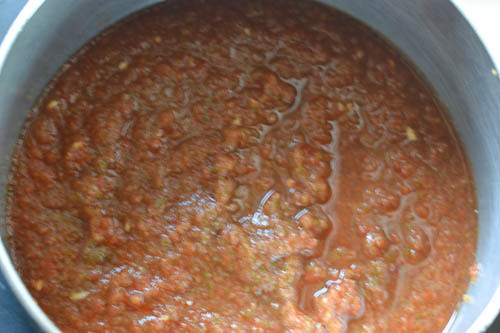 In this sauce, I added extra tomatoes, onions, garlic, basil and parsley, to create a versatile sauce that can be used as a condiment, dip, or appetizer component. Adjust the tomatoes to suit your taste buds and spice tolerance or just omit them. Coarsely chop the tomatoes, onions , and discard stems of the pepper. Then through the tomatoes, onions, garlic, pepper, parsley basil, Maggie in the food processor along with as much oil as desired. 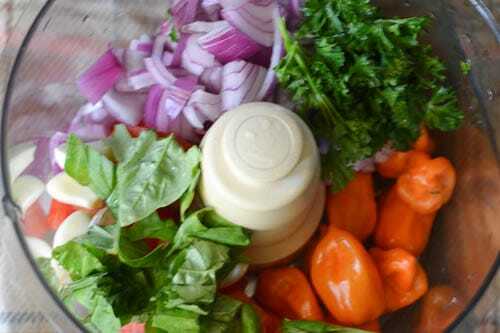 Another way to make pepper sauce is to boil the ingredient with a little of water , for about 15 minutes then blend with oil and serve. UM, Why do u callhabanero – Haberana (a couple of times in this recipe)? Also, how do we contact you to buy a cookbook and see what else you are up to? Sensational! I tasted this in church and wanted to find a recipe for a novice. This is just that. Simple clear and best of all delicious.